C-level employees at most companies have incredibly busy schedules. For international companies, the requests on time can be that much more staggering. Personal interaction across the globe with clients, resellers, customers, satellite offices and more can be critically important. However, the time associated with travel and being away from the office means constraints on executives. 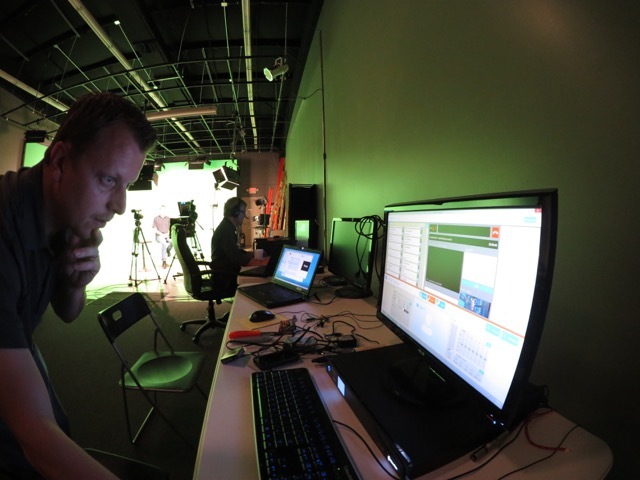 At NewTek, as you might imagine, we use our own technology to bridge the gap in time, travel, expense and manage to communicate effectively around the world. 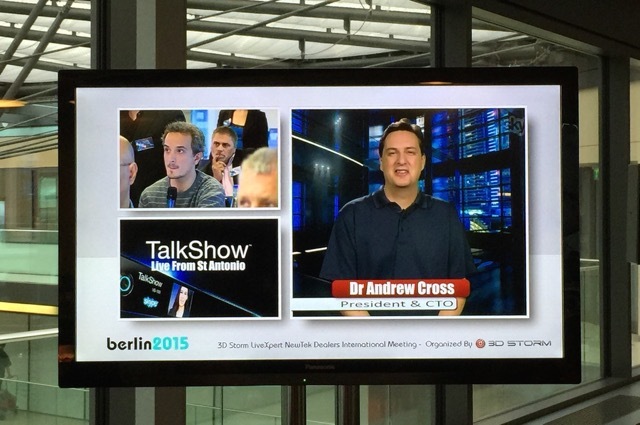 Recently Dr. Andrew Cross, our President and CTO, needed to be available for a few hours to our International Reseller meeting in Berlin, Germany. 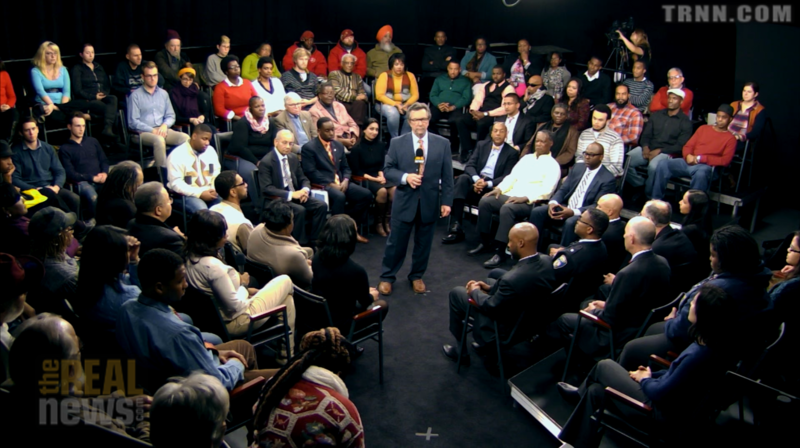 Dr. Cross was able to not only address the resellers, but interact with a town-hall style meeting of Q&A that lasted several hours. 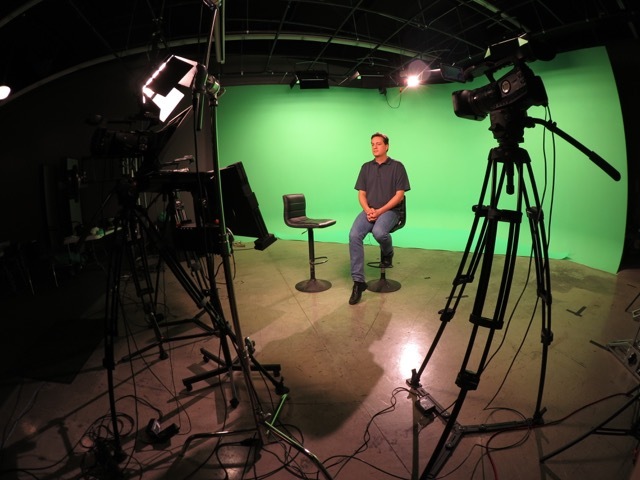 Rather than get on a plane, all of this was conducted with TalkShow and TriCaster. 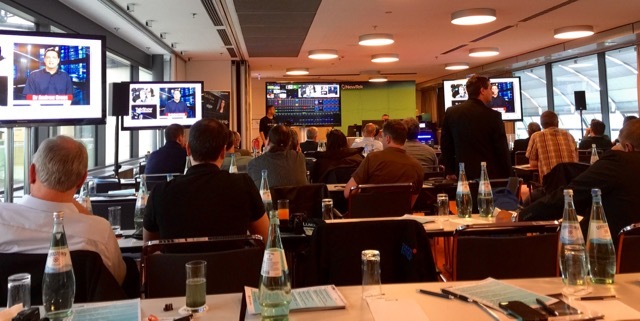 In Berlin, the reseller meeting had various monitors and audio piped in using Skype for Media and TalkShow. 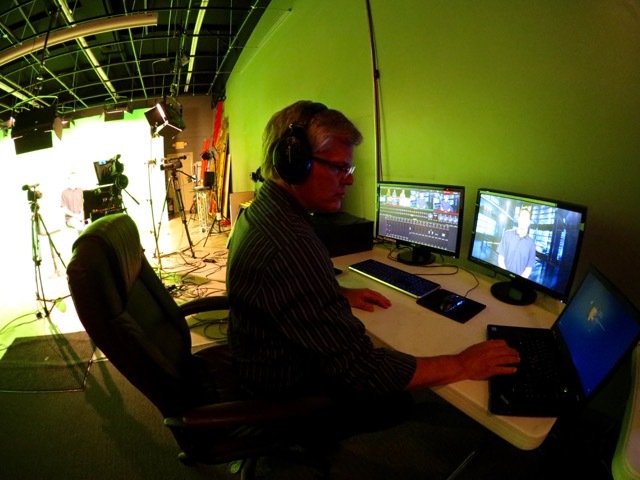 A TalkShow was connected to a TriCaster in Germany and back in San Antonio, Dr. Cross was sitting in front of a green screen addressing the meeting. Lennie Nelson managing the Skype feed in the TalkShow interface. The quality of the image and communication was second only to a full satellite uplink and downlink. By integrating TalkShow, our internal executive meeting was able to have the highest quality video and audio for a fraction of the expense in time and money of Satellite or travel while achieving highly effective communication between remote sites on separate continents.